Almo “UCB” Blocks | Almo Manifold & Tool Co.
Our single DIN 24342 cavity manifold offers pilot circuit flexibility simply by rotating the valve cover 90°. 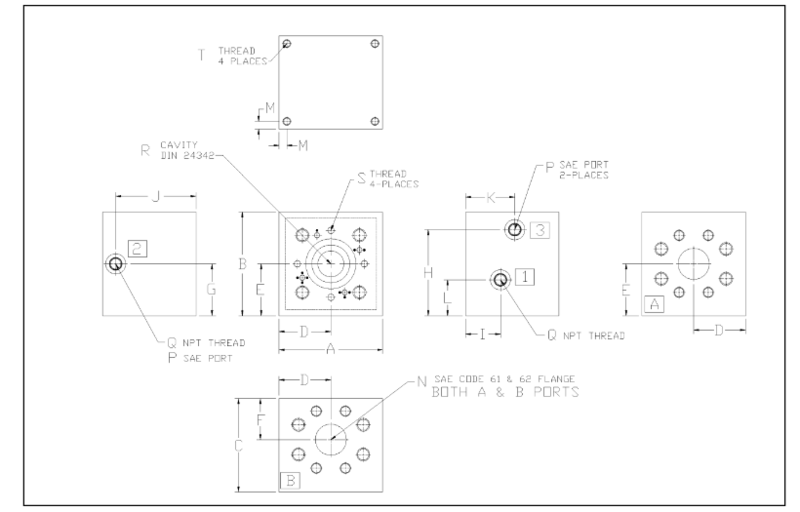 The four active locating positions & pilot port designations are shown below, along with the general layout & dimensional specifications. Each manifold will be supplied with 4 plugs for the valve face, 2 NPT plugs for internal plumbing, & 3 SAE plugs for ports 1, 2, & 3. None of these plugs are installed upon shipment.